Now I have never been a fan of people wearing clothes with brands stamped all over them: T Shirts with the word ‘Armani’ across the chest, or underwear with ‘Calvin Klein’ on the waist band – basically plain and ordinary clothes at extortionate prices for the sake of a name. For someone like me, who is interested in fashion, it feels nice to have new clothes, but the idea of looming overdraft charges is a huge worry. Luckily, I have discovered eBay. 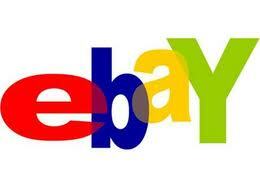 This site allows members to buy and sell items at reasonable prices and potentially make some money. eBay allows members to auction their belongings according to certain listing agreements, and all it costs you is a small insertion fee plus a percentage of your profit. And here’s where the brands come into it: I have learned through trial and error that listing products with a recognisable brand name is far more likely to result in a sale than a non-branded item. Buyers trust high street names and well-known brands and so making sure that these are clear in your item description is a must. Personally, I use eBay mostly to sell old clothes and accessories, but I have also been able to make some money selling goods such as computer parts, collectable comics and vinyl, and PC accessories. There are hundreds of categories to choose from when listing, so do not think that my list here is exhaustive! Buying from high street shops may seem like too much of a luxury at a time when most of us are counting the pennies, but it does mean that you could earn your money back. I am definitely not trying to tell everyone that we should spend a fortune on clothes and gadgets, but just to feel less guilty for buying that one item for a special occasion. For example, I recently bought a blazer from Topshop to wear for my 21st Birthday, an item that I will never get use out of again. Previously, I never bought ‘throw-away’ fashion, as it was a waste of money, but knowing that if I keep the item in good condition, I can sell it on for maybe 60%-70% of the price I bought it, means I can enjoy life’s little luxuries from time to time, and not have to delve into my overdraft next time I need money. I hope that some of you will experiment with eBay, as I think that it is a really easy and affordable way to sell your unwanted belongings, and also helps us to recycle products, rather than contributing further to the world’s waste problem. This entry was posted in News and tagged brands, ebay, Money, profit, recession, shopping. Bookmark the permalink.